加入電網 外 請問 可否推薦 仙草農 或 賣乾仙草商? Seema: The theme we use is “Pal Nila 1.0 by Sadish Bala”, which is a 3 column theme solution for WordPress 2.1 or greater, created by Sadish Bala. All of this theme’s files are located in wp-content/themes/palnila. I love your wordpress theme, exactly where do you obtain it from? 您好!! 我想要訂閱電子報,只要在這留下email就可以了嗎?! 還是? 另外,我也好想要報名上豆腐製作的課程喔! 要等到九月才能報名嗎?!可以先預訂先付訂金嗎?! 煩請您回覆,感謝!!! Hi, 我是孟凱的朋友, 小琳, 想報名5月29 & 30日在台北的活動, 我的聯絡方式手機 0916-034789, 還需要提供哪些資訊才能確認報名成功呢? 謝謝! 有緊急事請大家幫忙. 我去年12月生了一個有機寶寶(懷孕時奶蛋魚素,出生後奶蛋素). 因為3月1日要開始上班了,急需要一為有愛心,也吃有機食物的保母. 希望合樸的朋友幫忙推薦或自薦. 寶寶吃母奶,如果能有住中國醫藥大學附近的愛心媽媽更好! 請大家幫忙一下~ 有適當的人選請與我聯繫 0968-098637~~ 感恩!!!!!! I agree with you that every single person’s support is meaningful and important to farmers, especially smaller organic farmers, which is in a disadvantageous position in the “commercial” market. person to promote it, and the feedback can be great. world as long as you have buying power. Things can be quite different when you take a new route. 若有訊息請email to the address of follows, tks!!! 你好.茄子料理.有日式.台式.又有川味.廣東味.這一季我農作物.有種.茄子長型外看來是很美的芷色的夢.料理很簡單.先說日式作法.材料.準備,蛋.两個葱、蒜.蝦米.少許亦可.作法. 一.先把茄子.蒸好.二.葱.蒜.蝦米 調 味品 少許. 必爆香.三.蒸好討茄子+蛋.油煎’香即可.四.完成.把爆香的香料.撒在茄子上面.即可上桌. 另這季白河蓮花節.如果有安排.下鄉遊.可安排耒.白河.蓮花遊.又可到関仔嶺.觀賞水.水同源.明明提供. 謝謝您們, 當天購買了許多很棒的農產品. 下次還是 會去逛逛. 謝謝! 您好! 謝謝提供這麼多樣化的好東西分享, 我在1/12購買了紙袋裝的菇類產品(200) 回家看了珊瑚菇根部有黑黑的, 磨菇上沾了紅土(我猜的), 清洗不掉, 購買有機蔬菜, 提了些東西, 請店家挑, 回家看我想是我不會買的產品. 我想商家所提供的是最好的產品, 而不是讓我們帶回家之後看了覺得不值的產品吧! 阿琪:哇Working Holiday是做樂合一啊,真好! 請你多去澳洲的農民市集逛, 我想邀請妳當合樸志工, 寫些妳在澳洲的農業相關見聞登在合樸網站. 妳在澳洲的經驗相信網友有興趣多了解一些呢. 如何? Jocelyn, Eva, 淑琴, 中和, 碧真, 惠玲:電子報訂閱完成, 你們的訂閱對合樸志工，就是一種無形鼓勵與支持，謝謝. Chuchu: 請多保養身體, 適度工作就好.12/8如果沒有上班的話,帶家人來市集玩, 吃有機健康, 逛有機市集也是放鬆. 合樸義工需求有(一) 協助農友組 Farmers Support (FS): 協助合樸農友市集當天販售:試吃,秤重,算錢,和消費者哈啦..
(二) 市集設定組 Market Support (MS):前一天帳棚搭設,桌子,椅子,架子,當天早上幫忙農民卸貨,市集結束善後..
(三) 現場行政組 Market Adminstration (MA) : 協助合樸服務台一般服務需求, 蔬菜泊車,..
(六) 農產品加工開發組 Agriculture Processing (AP) : 協助小農開發過剩有機農產品或是賣相不佳 加工製造(醃製, 乾燥, 果醬, ..). (七) 社區支持農業開發組 Community Supported Agriculture (CS): 結合社區的消費力量來支持在地小農從事有機耕作生產. 到台中不久人文地理仍是陌生摸索中, 佩服您的精神理念,第一次知道「合樸」在11/15 東海大學聽王教授的有機農產品講座時由一群師母口中所知, 還真是孤陋寡聞ㄋ,但網路市集已逛了很久喔, 我也要訂閱電子報, 也會將合樸連結到我部落格上面的, 祝事事順心平安! 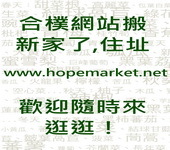 lee: we do offer “farmer’s visit” for Hope’s members, please visit our website for announcement. We will try to broadcast in advance with Hope newsletter. ＊	感謝志工 曾瓊存小姐 振宇 姿希 舒靜 正雄 仲杰夫婦 王政南等志工的協助.讓10/13日的市集活動進行順利.也歡迎有熱情的朋友共同來參與. 馨文: 自然農法的蔬果真是好吃, 多一個見證者啦! 祝福你的寫書順利, 有你們一起努力推廣, 這條路有伴同行, 真好! 我想訂閱電子報，謝謝你們。用心讓人感動~Taiwan is a beautiful country with lovely people. 朝陽:照片已經Email給你, 恭喜你獲公益新聞金輪獎! 歡迎經過台中時, 來合樸找我們玩, 好久沒跟你聊! 請你打電話給我0937-457-843, 我們先在電話中認識, 彼此合適的話, 之後會有產地拜訪, 合樸有加入市集生產者的規則, 可以提供給妳參考. 我正在規劃農民市集的細節, 有關於星期五下午三點, 請你和你的朋友一起過來幫忙佈置場地. 我們大概一共有四到五位一起幫忙. 先謝謝囉. 星期六早上也需要志工幫忙, 晚一點再告知細節. Hi 婕穎, 覺得好汗顏, 為農家們做的實在有限, 一定找機會來你們這邊觀摩學習. 樂活厝邊(www.lohas-in-trust.com)是一個致力發揮小小橋樑力量, 讓大家在每天的食, 衣, 住, 用, 育, 樂, 美的生活面向中, 體驗各地有機農產與分享彼此如何經營”生態和諧相處, 帶來的生機盎然生活”的地方. 只是,昨天的天氣實在太熱了…有飲料的攤區實在不多, 不然就是不夠冰….互動式的活動應該在更完整些及精緻些,真的會更好! 例如, 花感的體驗,收費真的不便宜…..其精緻度.完整度若更側底些,付費會更滿意. 否則,只是依各念頭 …..太貴了…還有有些工作人員的制服,統一化,會更好喔!